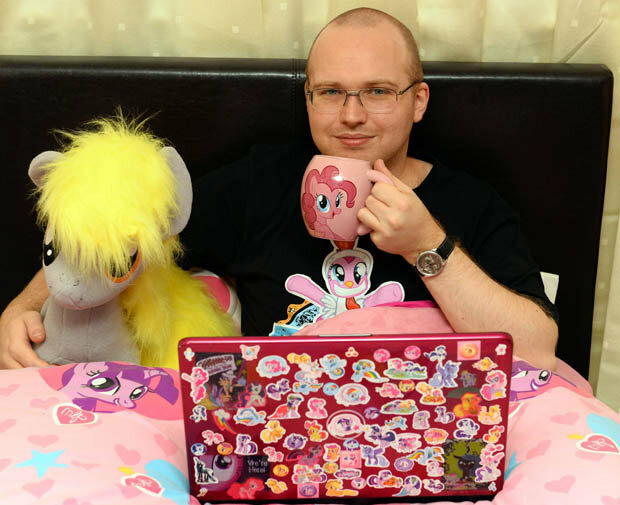 A MY Little Pony Fan is so obsessed he has forked out a whopping £12,000 on toys and outfits. Bonkers Ian Taylor, 32, has spent almost five years collecting merchandise from the kids’ TV show. His home is packed with expensive pony collectables which cost up to £80 each. And he even has a custom-made pony suit to dress up in. “Whenever I tell people I’m into My Little Pony they always look at me like I’m a bit strange and say that it’s for little girls. Ian has more than 300 figurines of individual ponies including his favourite, Twilight Sparkle. Fagburn has no idea if 'Single Ian' is actually gay or nay, it's just a hunch.